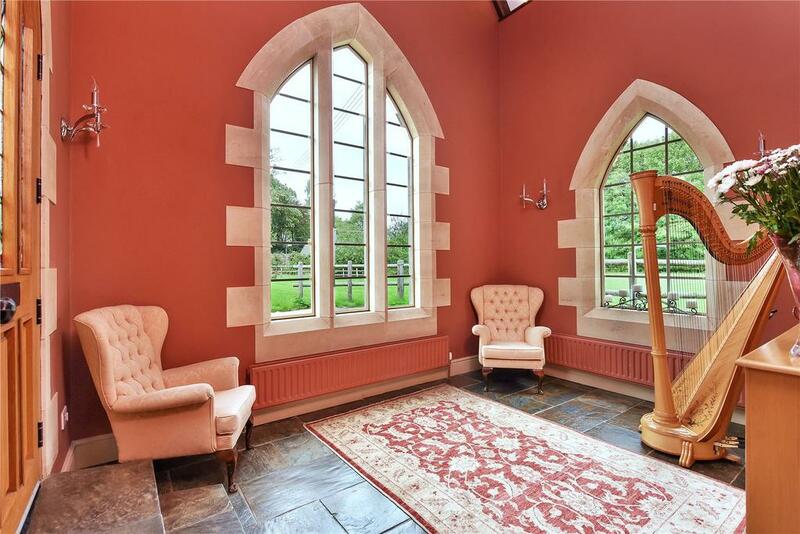 This unusual former rectory a few miles from Lincoln has a rich history, and bears the touch of one of Britain's greatest Victorian architects: Sir George Gilbert Scott. George Gilbert Scott’s enduring fame rests on the public buildings which he either created or reimagined. The Gothic fantasy that is the Midland Hotel at London’s St Pancras Station is perhaps his most famous, but his work on places such as Wakefield Cathedral is also well remembered. 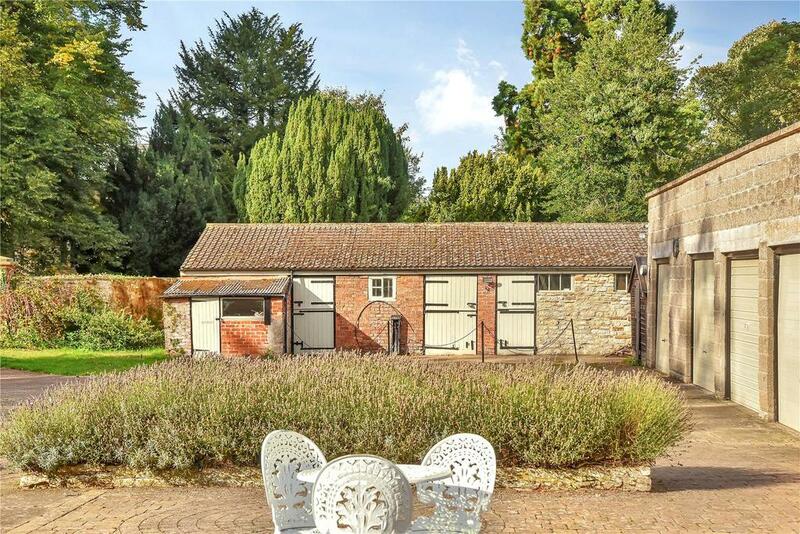 Yet he was also a prolific architect at more modest levels, and currently for sale is one of the houses which he transformed: the Old Rectory in Fillingham, a few miles north of Lincoln, which is currently on the market with Humberts at £1.395 million. The Rectory, which originally dates from the 1700s, is a nine-bedroom home spread over more than 6,100 sq ft. It’s been very well maintained by owners who clearly have a strong sense of their own style – and it’s clear that they’ve obviously relished making the most of Scott’s Gothic flourishes, which include stone mullioned windows which would look perfectly at home in most churches. 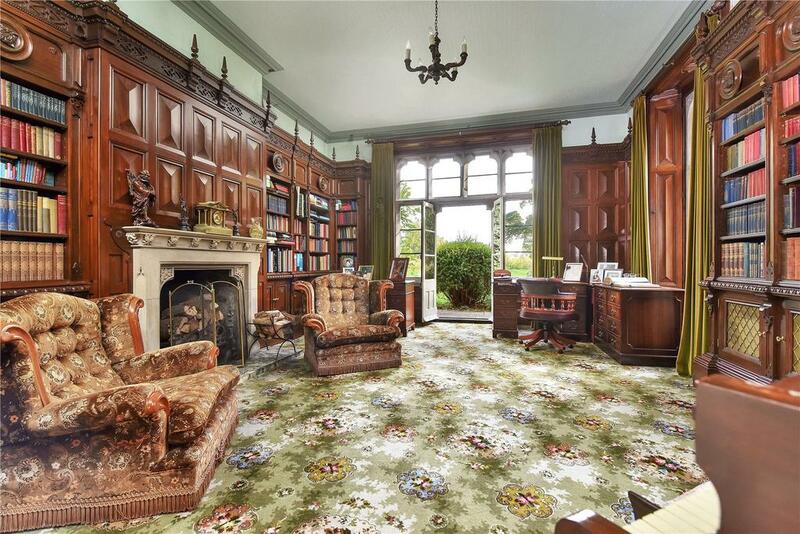 There is a similarly bold approach in the wood-panelled library, where the fixtures, fittings and furnishings come together to create the sort of room that you’d imagine Sherlock Holmes using while on a weekend retreat to the country. Yet the house also has an up-to-date feel in many places. 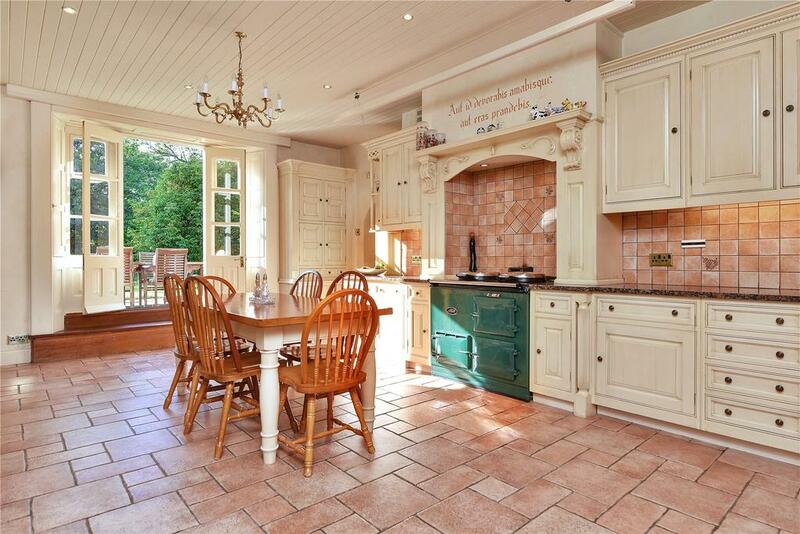 The beautiful country kitchen/breakfast room with Aga and French windows opening onto the lawns is timeless, while the bright hallway is beautifully decorated in a modern style that still sits in sympathy with a glorious Victorian front door. Three of the nine bedrooms are en-suite, including the master bedroom which also has a dressing room attached. The interiors have been kept at a high standard, with high ceilings and the original stone gothic windows throughout. There are also gothic arched doorways and hallways right through the property, and open stone fireplaces that are similar to the ones that Scott designed for the Houses of Parliament. 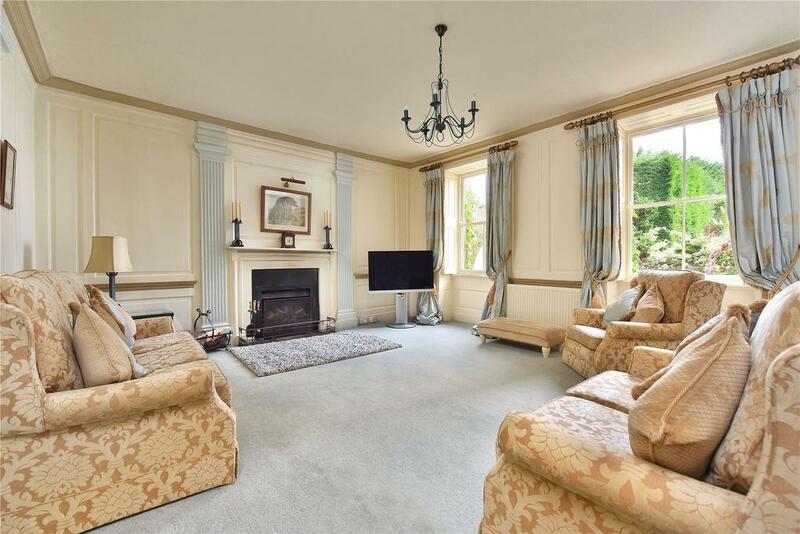 There is also a formal dining room and a sitting room in keeping with the feeling of grandeur that runs throughout. 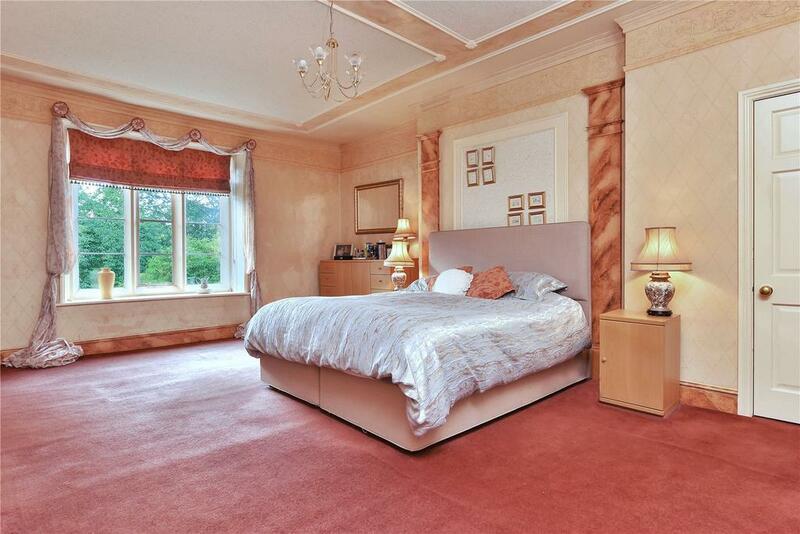 The bedrooms are spacious, with the large arched windows allowing plenty of natural light. 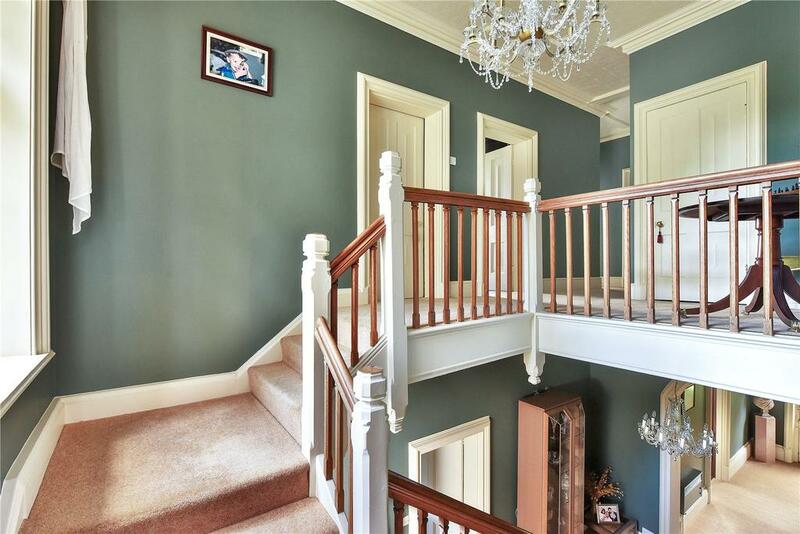 The staircase leading to the first floor wraps around the interior wall, opening up the hallway and the landing beautifully. The house is approached via wrought iron gates which lead on to a driveway, with room for multiple vehicles near the house as well as a detached quadruple garage. To the front and far side of the house there are beautiful formal gardens with extensive views on to rolling countryside, and also an outdoor swimming pool with a polytunnel cover. While the rectory is a fine country house, the location has plenty of facilities on the doorstep, including a village shop and primary school (the house is also in catchment for Gainsborough Grammar School). There are also a couple of pubs and a doctor’s surgery, while Lincoln is 11.5 miles away when the need arises for more. The Old Rectory is on the market with Humberts at a guide price of £1,395,000 – see more information and pictures.